Perhaps the worst part of seeing the check engine light come on in your car is the uncertainty that comes with it. The check engine light can come on for a wide variety of the reasons and while not all of them are as costly and as massive as you may think, it’s important to know where to look first and what the most common causes will turn on the check engine light and how to fix them as fast as possible before the issues and the costs begin to pile up. 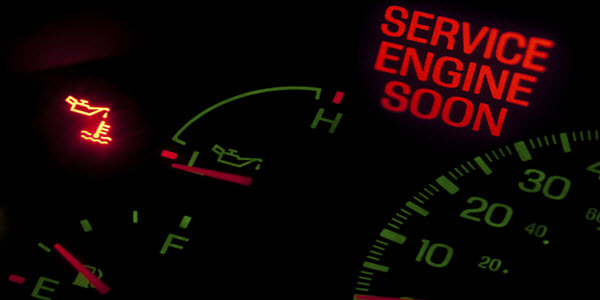 When you see the check engine light turned on in your vehicle, don’t hesitate to take your vehicle to professionals and begin to have it assessed to properly determine the cause. While it can be frustrating and tough to figure out why it’s on, ignoring the light could potentially lead to far more costly and extensive repairs. It’s also important to remember that while the sensors in your vehicle can be reset, which would turn off the light, that by no means indicates that the problem has been solved, if any of these issues go undiagnosed and unattended, it can lead to irreversible and expensive problems down the road. Faulty Oxygen Sensor – Your oxygen sensor over time becomes covered in oil ash and it can reduce the sensor’s ability to change the mixture of fuel and oxygen. A faulty sensor can lead to a dramatic decrease in fuel efficiency of up to 40% and could potentially lead to severe catalytic converter damage if left unattended. This is the most common cause of the check engine light so if yours is on, there’s a good chance it could be the oxygen sensor but be sure to have a professional mechanic determine the reason for the light by reading the error code. 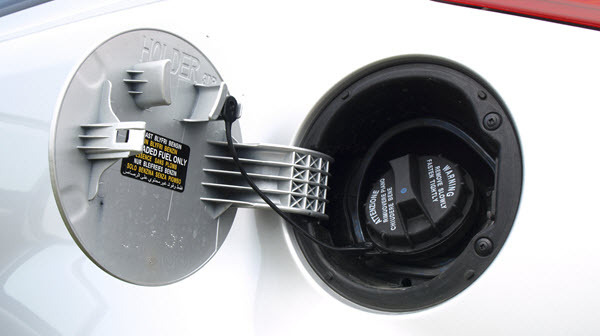 Check The Gas Cap – It’s hard to imagine but sometimes the problem can be as simple as the gas cap being loose. You can have this diagnosed by a auto mechanic but simply buying a new gas cap is an inexpensive enough alternative to try if you’d like to avoid mechanics altogether. Aging Ignition Coils – Sometimes a vehicle can have more than 1 ignition coil and if it gets to hot under the hood, it can lead to accelerated wear and tear though it’s recommended to change them over the years as they wear out with time and should an ignition coil fail, it can lead to damage to the catalytic converter, a costly and time-consuming repair when compared to the relatively low cost of a replacement ignition coil. Is Your Engine Light Solid or Flashing? – It’s important to pay attention to what exactly your engine light is doing; a solid light signifies a less severe problem, though service is recommended immediately regardless, you can breathe a little easier knowing that the issue, while serious nonetheless, is not a full on catastrophe. A flashing light on the other hand signals severe engine malfunction and a likely leak of fuel into the exhaust system. Should it get to that point, it heats up faster and can lead to extensive damage to the catalytic converter along with other internal components. If your engine light is flashing, the best way to avoid overheating your vehicle is to lower your speeds and seek repair as soon as possible. Replace the Spark Plugs and Wires – If a spark plug or spark plug wire should fail in your vehicle, your engine may begin to misfire and that could lead to lower fuel mileage and a decline in your vehicle’s overall performance. If left unattended, that can lead to permanent internal damage to your vehicle, specifically to the catalytic converter. If you’re looking to change your spark plugs yourself though, it’s a relatively easy repair that will cost you about $10 and an hour or less of time. The check engine light can be a scary thing; you never quite know what could be causing it and there’s no real way to tell until you make the trip to a mechanic to have the issue properly diagnosed. However, knowing the most likely causes of the check engine light is a great way to stay a little bit ahead of those costly visits and for a fraction of the cost, you can try your hand at turning that light off the right way.